Hi everyone! I have been dying to do a sunset gradient lately, so today I finally went for it! I started off with two coats of China Glaze If in Doubt, Surf it Out, followed by one coat of SV. 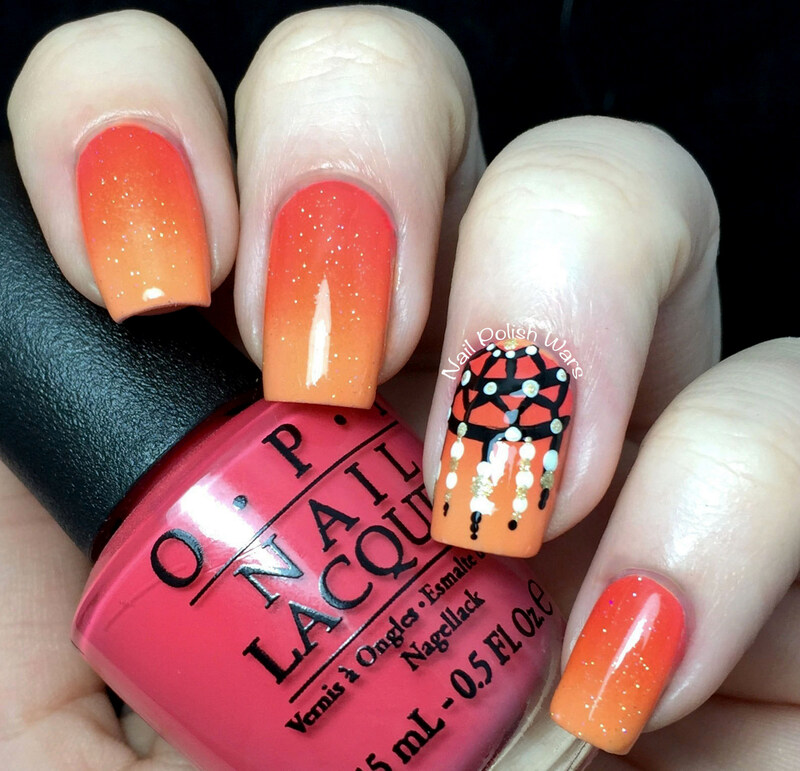 I created a sunset gradient using a damp wedge sponge with If in Doubt, Surf it Out, OPI Can't Afjord Not To, and OPI Live.Love.Carnaval. I added one coat of Northern Lights Holographic Top Coat for a little sparkle. Using a thin striping brush, I created the outline of my dreamcatcher with Cirque Colors Memento Mori. 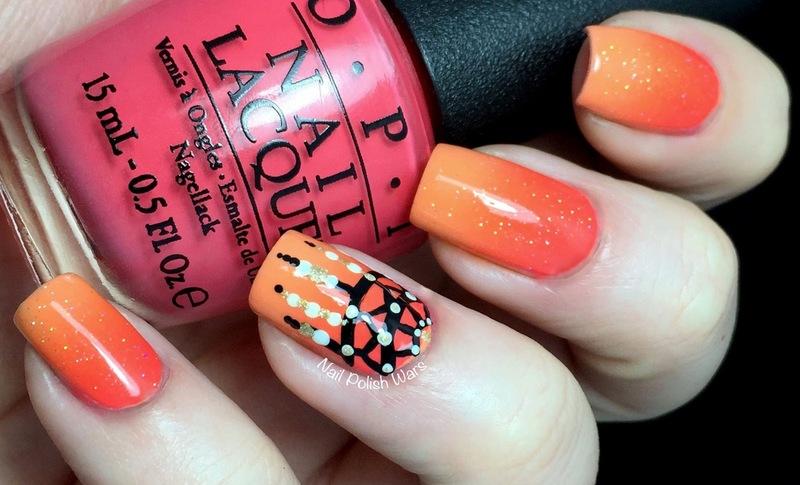 I paired my dotting tools with Cirque Colors Carpe Diem, and OPI Love. Angel. Music. Baby. for the details. I finished with one coat of SV. 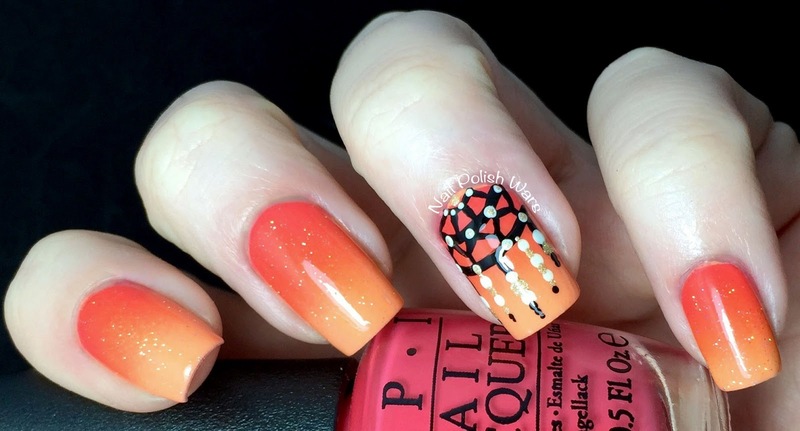 I really love the end result, and I am crazy about this bold gradient! Parabens, voces fazem um trabalho incrível. Your gradient looks absolutely stunning. The dreamcatcher is perfect! Your dream catcher is gorgeous! This is a design I've always wanted to try too. 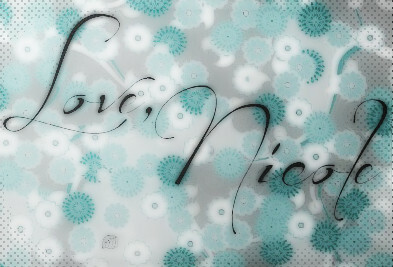 These are incredible Nicole! I love them! Wow, your gradient is flawless. This is so beautiful. I love the sunset colors and the dreamcatcher looks great. 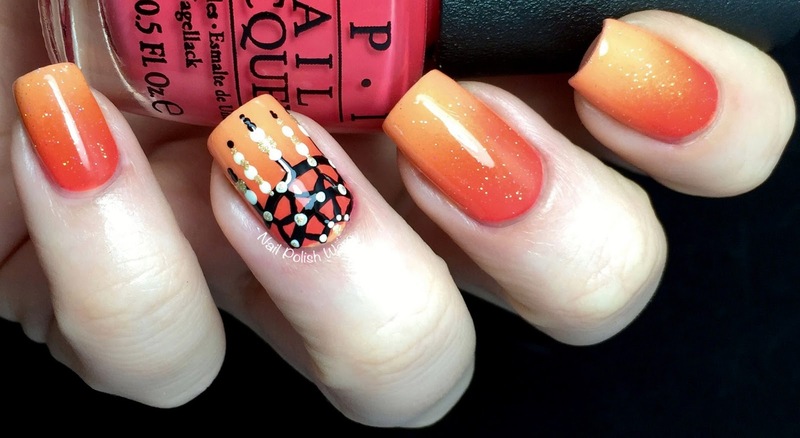 The gradient is beyond beautiful and the accent nail goes perfectly together with it!